A bill that would give veterans access to mental health care despite a less-than-honorable discharge is back in Congress. Reps. Mike Coffman, a Colorado Republican, and Derek Kilmer, a Washington Democrat, are leading the bipartisan reintroduction of the Veteran Urgent Access to Mental Healthcare Act, Coffman’s office announced Tuesday. The legislation, H.R. 918, would require the Department of Veterans Affairs to provide initial mental health assessments and “urgent mental health care services to veterans at risk of suicide or harming others, even if they have an other than honorable discharge,” otherwise known as a “bad paper” discharge, the announcement said. “It’s important that we give all of our combat veterans, irrespective of the discharges they receive, access to mental health care through the Veterans [Affairs Department],” Coffman told Military.com during a phone call Wednesday. Coffman, the only member of Congress to serve in both the first Iraq War and Operation Iraqi Freedom, said of the “bad-paper” separations, “I question the nature of the discharges in the first place, and I’m exploring that.” Veterans who received a dishonorable or bad-conduct discharge would still be ineligible from accessing the services. The bill would also require an independent study of veteran suicide to review effects of combat service on suicide rates; the rate and method of suicide among veterans who have received health care from the VA; and the rate and method of suicide among veterans who have not received health care from the agency, the announcement said. Coffman pursued a similar bill last year, but it didn’t pass the House. The previous legislation included language that linked a dishonorable or bad-conduct discharge to a general court-martial, but those types of separations can also result from a special court-martial. The new bill excludes any reference to court-martial “to avoid confusion,” spokesman Daniel Bucheli said. Coffman said this time around “there is a greater awareness of this issue,” especially because David Phillip Roe, a physician representing Tennessee’s 1st Congressional District, is now the chairman of the House Committee on Veterans’ Affairs. In addition, the bill has 12 sponsors. “So I think it stands a good chance of getting passed this time around,” Coffman said. “We seem to have fewer and fewer veterans in the Congress, so I think it’s difficult sometimes for them to understand the culture of the military. I think [members in Congress] are very supportive of the notion of providing mental health care to veterans even if they don’t understand the nature of these discharges.” High Ground Veterans Advocacy, a grassroots organization training veterans to become leaders and activists in their local communities, has advocated for a fairness for veterans coalition of more than 50 veterans service officers, mobile service officers and veterans legal services clinics surrounding the issue, said founder and chairman Kristofer Goldsmith. “We’re calling on the Armed Services Committee and the Veterans Affairs Committee to hold hearings on the issue of ‘bad paper,’ ” said Goldsmith, who also serves as the assistant director for policy and government affairs for the Vietnam Veterans of America. “We’ve seen a lot of positive action from the Congress and there is bipartisan recognition that the issue exists, which is wonderful, but until the VSOs and MSOs are invited to testify at a hearing alongside the boards of corrections of military records from each of the branches, we’re not going to be able to get as much work done on this issue as we’d like to,” he said, referring to veterans service organizations and military service organizations. According to a National Public Radio study, roughly 22,000 Army veterans confirmed to have a diagnosis of post-traumatic stress disorder or traumatic brain injury (TBI) were issued “bad paper” between 2009 and 2015. The Army investigated the claim, but found nothing wrong with how commanders chose to remove soldiers coming back from wars in Iraq and Afghanistan. Coffman, who served in the Army before retiring from the Marine Corps as a major, said he believes the stigma surrounding personality disorders has become a way for the Defense Department to take disciplinary measures instead of offering proper health care. In some cases, he said, the action could be tied to how a specific service works through a drawdown in its ranks. “It seemed to always come down on military personnel returning from combat zones, and I just thought this was inappropriate. I think in the past what [DoD] has done is say, ‘OK. We’re going to do a reduction in force and … deny people re-enlistment or give people early outs.’ But to give these ‘bad paper’ discharges to combat veterans and then [say] no as a result … they have no access to mental health care, and that’s really problematic,” Coffman said. Goldsmith too said there needs to be more action from within the department. “It’s disappointing that [DoD] thinks they can fix this problem just by changing the narrative in the press shop,” he said. The dialogue pendulum continues to swing from DoD to the VA and vice versa, which too often turns into “the blame game” without firm action. “Congress needs to hold both of them to account in a coordinated effort,” he said. “There’s a long history of members of Congress trying to address this issue, and I think in this year, in 2017, we’re going to kind of hit a — I hope — critical mass where members of Congress who don’t focus on military and veterans issues will realize how important this is, and they’ll join the fight as well,” Goldsmith said. A handful of lawmakers is again making attempts to open 24 new Department of Veterans Affairs facilities across the country, some of which have been held up by Congress for two years. The VA must receive congressional approval to lease medical facilities with annual rent payments totaling more than $1 million, according to federal law. Combined, the 24 facilities – most of them outpatient clinics — would cost about $228 million during the leases, which in some cases can last 20 years. Congress has not approved a medical facility lease for the VA since 2014, said the office of Sen. Mark Warner, D-Va. Warner and Sen. Susan Collins, R-Maine, reintroduced legislation that would give the VA the go-ahead to open the clinics. Rep. Julia Brownley, D-Calif., reintroduced a similar measure in the House. One of the pending leases is for a new outpatient clinic in Hampton Roads, Va., totaling more than $18 million. In 2014, veterans at the Hampton VA Medical Center suffered the longest average wait times in the country for primary care, the Hampton Roads Daily Press reported. The wait times resulted from an increase in the number of patients, along with space and staff shortages. Warner, who represents Virginia in the Senate, said health care providers at the hospital need the clinic to better manage their workload. “Veterans deserve convenient access to the high-quality health care they have earned through their service,” Collins said in a written statement. “These facilities… will allow veterans to receive outpatient care without the stress and difficulty of traveling to larger VA medical centers, which may be located far away from their homes.” One of the pending leases is an expanded outpatient clinic for Collins’ constituency in Portland, Maine, totaling about $6.9 million. A $6.3 million clinic is planned for Oxnard, California, in Brownley’s district. The facilities span 12 other states. Last May, 15 senators wrote to Sen. Johnny Isakson, R-Ga., — chairman of the Senate Veterans’ Affairs Committee – and Sen. Richard Blumenthal, D-Conn., the top Democrat on the committee, asking they act to approve the 18 leases pending at the time. The VA has also been struggling to work with Congress to gain the approvals. James Sullivan, director of the VA’s Office of Asset Enterprise Management, told a House committee in September that many of the VA’s 10- to 15-year leases are coming to an end. Without authorization for the new leases, some facilities might be forced to close and new ones might not open immediately, he said. 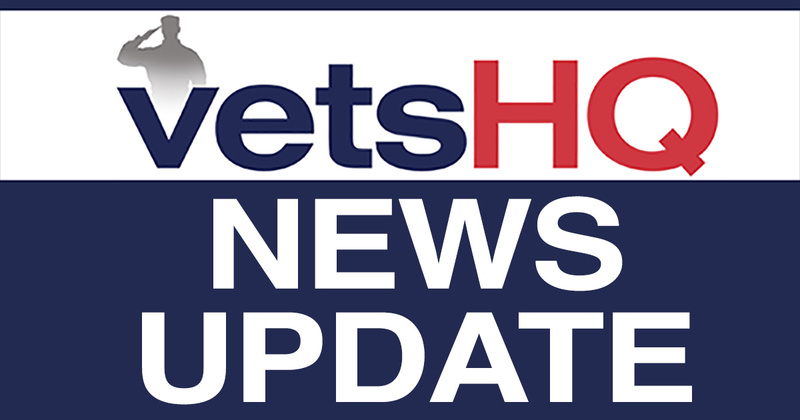 “Without authorization from Congress, VA cannot begin work to secure needed leased space to meet the needs of veterans seeking VA health care,” Sullivan testified. “Failure to receive authorization will have a growing and worsening effect on veteran access to care nationwide.” At the September hearing, lawmakers voiced concern the VA had not provided proof that leasing medical facilities was more cost-effective than building their own. VA leases haven’t been approved on a regular basis since 2012, when the Congressional Budget Office changed how it estimates costs, Warner’s and Collins’ offices said. The Congressional Budget Office previously noted only the annual cost of the leases, but, in 2012, it began recording the total cost of the leases up front. If the leases were approved, Congress would still have to decide each year whether to appropriate annual funds for them, Warner’s office said. Fifteen cosponsors signed onto the Senate bill, S. 233. Brownley’s legislation, H.R. 90, has nine cosponsors. Brownley also introduced legislation this session to prohibit Congress in the future from appropriating funding for a medical facility lease without also approving the lease. The first participant in a clinical trial designed to evaluate the effectiveness of smoking marijuana to treat PTSD in veterans was given cannabis on Monday, according to the organization conducting the study. The study is the first such trial to evaluate the safety and effectiveness of using marijuana to manage symptoms of post traumatic stress disorder in U.S. veterans, officials with the Multidisciplinary Association for Psychedelic Studies said in a release on Tuesday. MAPS is a California-based non-profit research organization focused on “the careful uses” of marijuana, according to its website. The study is funded by a $2 million grant from the Colorado Department of Public Health and Environment. The study will look at the safety and effectiveness of four separate levels of marijuana potency in 76 veterans. It will provide data on marijuana dosing, composition and side effects, and the potential benefits of using pot to treat PTSD. The data will be intended for clinicians and legislators considering marijuana as a potential treatment for PTSD. The first veteran to participate in the study received the marijuana on Monday at the Scottsdale Research Institute in Phoenix, Arizona, the release stated. The study is taking place in two locations: in Phoenix, led by Dr. Sue Sisley, and at Johns Hopkins University in Baltimore, led by Ryan Vandrey. The study is recruiting adult military veterans who have experienced trauma during military service. Screening for volunteers began in January. Volunteers will complete 17 outpatient visits to one of the study location clinics in a 12-week period, with a follow-up visit in six months. Veterans interested in volunteering for the clinical trial may email arizona@marijuanasites.org for the Phoenix location or call (410) 550-0050 to reach the Baltimore location. “As this is the first placebo-controlled trial of cannabis for PTSD, we are breaking important ground needed to identify improved treatment options for veterans with PTSD,” said Marcel Bonn-Miller of the University of Pennsylvania’s Perelman School of Medicine, in the release. Bonn-Miller is overseeing the project at the two study sites. The research received approval in early 2014 from the federal Health and Human Services Department and was to get underway at the University of Arizona and other locations. The program was delayed after the school in Tucson terminated Sisley’s contract, Military Times reported in January 2015. Sisley and MAPS worked for more than four years to develop the study protocol and win federal approval. Three Veterans Affairs employees have been accused of stealing prescription medications from a Little Rock veterans hospital, according to a news release. Satishkumer “Steve” Patel, 44, of North Little Rock, Alisha Pagan, 33, of Mabelvale, and Nikita Neal, 42, of Little Rock, were indicted on drug-related charges Wednesday, a news release from United States Attorney for the Eastern District of Arkansas Christopher Thyer said. Thyer said in the release that the three, who worked at the VA John L. McClellan Memorial Veterans Hospital in Little Rock, used their positions to obtain the drugs. In June 2016, the Veterans Affairs Office of the Inspector General found that large numbers of prescription medications were being charged to VA accounts, but the medications were unaccounted for, the release said. The office investigated and found that Patel, who was a pharmacy technician, was able to “order and divert” 4,000 oxycodone pills, 3,300 hydrocodone pills, 308 ounces of cough syrup and over 14,000 Viagra and Cialis pills, according to the release. This cost the VA almost $78,000, the release said. Investigators from the inspector general’s office and the Drug Enforcement Administration found that Patel gave some of the medications to Pagan, another pharmacy technician, who gave some to Neal, a technician-in-training, according to the release. “This case is an example of government employees using their position of trust to not only steal from the taxpayers of Arkansas, but also to poison the communities we live in with dangerous drugs,” Thyer said in the release. “Curbing the illegal distribution of opioids continues to be a primary focus for my office, and it is particularly troubling when the crime is being committed by people in the health-care industry.” Patel, Pagan and Neal have been charged with conspiracy to steal and distribute the drugs, according to the release. In addition, Patel has been charged with four counts of possession with intent to distribute oxycodone, Thyer said in the release. Pagan was charged with one count of possession with intent to deliver. Extensive revisions to New Mexico’s medical marijuana program that would automatically allow all military veterans to qualify as patients are advancing in the state Legislature. The Senate Judiciary Committee endorsed the proposed legislation on Wednesday despite objections from members to the veterans’ eligibility provisions. The bill’s next stop is the full Senate. Other proposed changes to a 2007 law legalizing medical cannabis would add treatable medical conditions including substance abuse disorder. State registry cards for approved patients would require renewal every three years instead of annually. Senate bill sponsor Cisco McSorley of Albuquerque says the provision for veterans addresses the stigma associated with post-traumatic stress disorder. Republican Senator and former Navy Rear Admiral William Payne called the provision offensive because it paints all military veterans as presumptive marijuana patients. Members of the Philadelphia Boys Choir gave back to the community and donates thousands of dollars Tuesday to help homeless veterans. Wearing their signature red jackets, the boys also put on red hard hates to make a very special presentation. “We are proud and privileged to offer this check of $2,500 to Help USA,” said Jeffrey Smith, director and conductor of the Philadelphia Boys Choir. Choir members stopped by the former Spring Garden School to donate a portion of their holiday ticket sales to the organization Help USA, which helps the homeless find affordable housing. “We were excited to hear about the project right in our neighborhood and we thought it would be a great way to give back to our community,” said Smith. After the check presentation, the boys toured the building for a first-hand look at the construction. The money will help the Philadelphia Housing Authority convert the former school into 37 affordable housing units for low-income seniors. Twelve of the units will go to homeless veterans. The building has been vacant for decades, but now it will serve as a home for the homeless. Help USA says the building will be renovated and ready for residents by September.